This past few weeks have been overwhelming and thinking about what is coming for the rest of the month is even more overwhelming. And I thought climbing a mountain was exhausting. Anyway, last week was probably the most crucial week of my personal life. For the longest time, I took the back seat and allowed someone to step on my self-esteem, repeatedly. I never really did something about it even though I could because I was brought up to always choose to be kind. But then it came to a point that I couldn't anymore. Or perhaps I should say that it came to a point that I needed to be kind to myself first and foremost. So I mustered the courage to finally do the right thing and it was absolutely liberating. 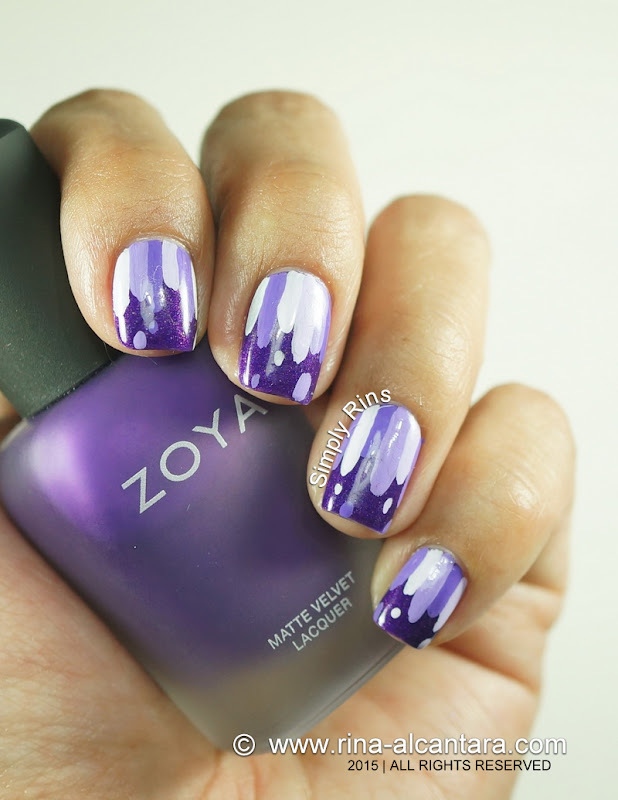 For base, I used Zoya Savita in matte with top coat. The design was hand-painted freestyle using acrylic paints and a short striping nail art brush. 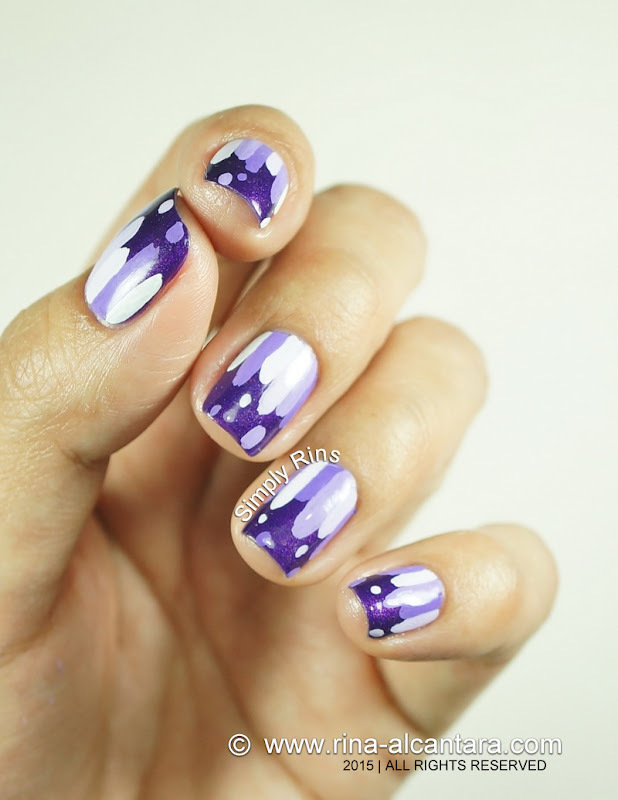 When a friend saw this nail art, she pointed out how it can be perceived in 2 different ways. You can actually see it as dripping paint or the opposite when it's upside down. One thing to love in this design is that you really don't need that much precision when you are painting it. And another is that it can be done even if you have short nails. You just need to adjust the length of your lines. It would actually make your nails look longer. My life has been on a downward spiral for a long time now and I'm starting to pick myself up. This blog is one of the reasons I am still sane and I want all of you to know how much I appreciate your patience and unending support for what I do here. Thank you. I hope you continue upwards! 😃 you definitely deserve that! project more successful with a link and more viewers. and take advantage of the free advertising. you'd like. And we will submit it on the page for you.